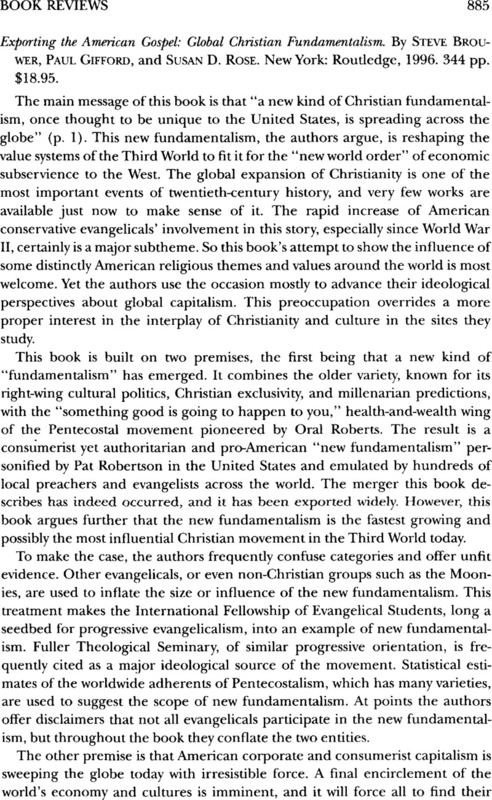 Exporting the American Gospel: Global Christian Fundamentalism. By Steve Brouwer, Paul Gifford, and Susan D. Rose. New York: Routledge, 1996. 344 pp. $18.95.